Nostalgia is an odd lens with which to view the past. By its very nature, nostalgia includes a built-in rose-colored glasses effect. Things viewed through that lens look far better than they seemed at the time. Maybe it’s the human tendency to try to ascribe meaning to events or our fear of a rapidly changing present that seems alien to us as we grow older. I’ve never been personally nostalgic about the 60s and 70s; having lived through them, I can tell you they were no golden age. This all hit me when I was on vacation recently, visiting my older daughter at Cornell University in Ithaca, New York with my wife Jan. While sitting at dinner one night with Jan, I noticed six young women sitting around a table, talking animatedly, shooting selfies, and generally having a good time. They constituted a pretty diverse group; at least one African-American women, one South Asian, one Chinese or possibly Korean, and three Caucasian women. We sat too far away to really hear any conversation, but I caught snippets about science, legal issues, and school. There sat a dynamic, smart, multiethnic group of young women. This, I thought, is what the future looks like. I write this now after a divisive election in which a highly qualified woman was rejected for president for a highly unqualified reality-TV star. Despite losing, however, it looks like Hillary Clinton may win the popular vote. Trump won by a massive turnout of older white voters, particularly from the South and Midwest. While Trump may have won, this election may be the last hurrah for a dying generation. The generation of 18-25 year-olds was less impressed. 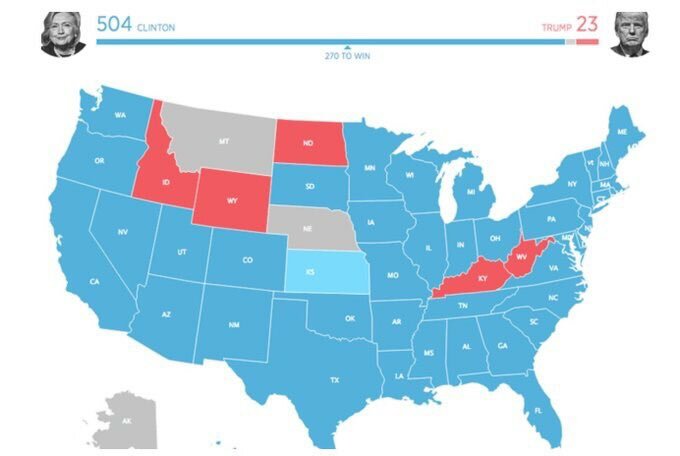 This is what the election looked like for 18-25 year-olds. It’s certainly possible that this generation will become more conservative as they grow older, but I’m not so sure — it’s a much more diverse generation than the boomers. So I’m hopeful that as my own generation fades away, the new generation will change the world. The only real fear I have is timing. We’ve already hit a critical juncture in the CO2 concentration in the atmosphere. It’s an open question as to whether we have the time to ensure our own survival as a species. But if we do, then it’s this younger, diverse generation that will step up to clean up the mess we made. So screw nostalgia. The arrow of time means we can only move forward in time, and any attempt to turn the clock back can only be illusory. The future belongs to that table of young women, and all the other men and women like them.